Hello, Austenites & Austen Newbies! I thought I’d dive further into this event by revisiting an old Classics Club question about the appeal (or not) of Jane Austen. To do this, let’s begin with some delightful thoughts on Austen, from one of my favorite writers, Mark Twain. “Whenever I take up Pride and Prejudice or Sense and Sensibility, I feel like a barkeeper entering the Kingdom of Heaven. I mean, I feel as he would probably feel, would almost certainly feel. I am quite sure I know what his sensations would be — and his private comments. He would be certain to curl his lip, as those ultra-good Presbyterians went filing self-complacently along. …She makes me detest all her people, without reserve. Is that her intention? It is not believable. Then is it her purpose to make the reader detest her people up to the middle of the book and like them in the rest of the chapters? That could be. That would be high art. It would be worth while, too. Some day I will examine the other end of her books and see.” – from “Jane Austen” in Who Is Mark Twain by Mark Twain. Well, it’s certainly fair for anyone to have his or her own opinion. And the great Charles Dickens happened to agree with him, although Dickens’s criticism was more misogynistic in nature (he didn’t think women had the capacity to be genuinely or effectively humorous). So, who am I to disagree with these giants of American and British literature? Well, I’m a reader with my own equally valid opinions. And I say Jane Austen is a master novelist, perhaps one of the best who ever lived. She’s certainly up there with Emile Zola, D.H. Lawrence, and Thomas Hardy, in my opinion. Are her books similar in theme? Sure. But they’re also vastly different. Mansfield Park cannot be confused with Sense and Sensibility. Marriage, family, and the middle class – they have a place in every Austen novel, because this is what Austen knew. But it’s also this privileged world and these gossipy people whom Austen dissects and often chastises, in many different ways. Marriage for love or for convenience? Property and station or happiness and companionship? These are questions one can expect to find in Austen. But there’s much more to her and her works than love and marriage. Did you know, for instance, that you’ll also hear about human trafficking and the slave trade? What about sexual impropriety in the military, alcoholism, parasitism, and hypochondria? Yep, they’re all in there! These issues and so many more are explored through masterfully constructed narratives, delivered in sometimes biting parody and satire. Shortly after finishing that semester, I revisited Pride and Prejudice on my own. And I finished it. And I thought, “Adam, you dolt!” I had been so utterly, completely, painfully naive and wrong. I re-read P&P again last year, and my appreciation for it grew even deeper. I also hosted Austen in August in 2013 and managed to read Sense and Sensibility, Lady Susan, The Watsons, and Sanditon. In 2014, I was able to finish Mansfield Park and participated in Austen in August (hosted by Jenna of JMill Wanders as a favor to me while I was working on my doctoral field exams) and read Persuasion. 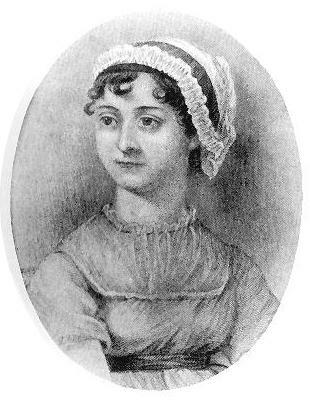 I’ve now read all of Austen’s published work except her juvenilia, which I’m working on right now, and I can say with some confidence that while a lot her works might seem similar in many ways – style, themes, focus- in reality, they’re quite different and, somehow, never disappointing. Northanger Abbey is my favorite too. It’s the one I recommend to Austen newbies. It’s an easier intro into her books and her writing style than P&P I think. Thanks for hosting such a great event! My first Austen novel was Emma in a college Literary Criticism class. I enjoyed it, especially in that context of having certain things brought out that I would have missed otherwise. I didn’t read another until maybe 10 years ago, and tried Pride and Prejudice – and was highly disappointed. Same with Sense and Sensibility. But I loved Persuasion, which became a favorite, and Northanger Abbey, which became a close second, and liked Mansfield Park a lot, too. When I came back and tried P&P and S&S a second time, I loved them, and they became comfortable old friends. Too bad Twain never did get to the other end of one of her books. Maybe he still wouldn’t have liked them – to each his own, I guess. Wonderful post, Adam! I enjoy reading about the Austen journey other people go on. I hope you enjoy the juvenilia. I’ve come across that Twain comment about beating her over the skull. I read it last night while reading A Jane Austen Education, and again just now with your post. It amuses me every time I read it because I can’t help but wonder why he continues to read her work over and over if he dislikes her so much. I try telling myself that perhaps he really did enjoy her work and was angry because she made him check himself from time to time. Let me live in that bubble. It’s a good place. Also, I said this a week(ish) ago, but I still think I’ve moved into the Northanger Abbey camp. I feel pretty good about that. Twain’s writing contains so much dry humor that I always wonder why he didn’t like Austen’s wit. (Maybe it was too subtle for him?) I think my favorite Austen will always be Persuasion, but her other mature novels always rotate. I agree with you that you have to be willing to bring some patience when you read her novels, but for me at least that always pays of. I am re-reading S&S at the moment, and it is such a pleasure to take my time with it. I once again marvel how Austen is able to set the scene and present the characters with very few words. And then she throws in a sly little sentence that makes you laugh. I think that’s where part of her genius is: Her wit is still appreciated today, two centuries after she wrote her novels. I have to wonder to what extent Mark Twain’s tongue was planted firmly in his cheek when he made these remarks. After all, he gives away that he has read, or tried to read, Pride and Prejudice and Sense and Sensibility many times (“whenever I take up . . .”). A lot of his humor has to do with deliberately taking false positions in order to who their absurdity. Or was he expressing jealousy (the digging her up and beating her about the head bit)? On the other hand, his own characters are not noted for their verisimilitude; they were more vehicles for his social satire. So perhaps he did not appreciate a more organic satire, rooted in psychologically believable people. Or maybe he was a garden-variety nineteenth-century sexist, believing that public (i.e., male) society was all that mattered, not the private sphere. I love the Mark Twain comments. I read somewhere they were particularly harsh because a good friend was an Austen fan and he was trying to wind him up but not sure if this is the case? Terrific article, Adam! It’s so refreshing to hear a guy speak so highly of Austen. It’s a rarity. At least, in my experience. It always surprises me how many people manage to miss the depth and variety of themes that you can find in Jane Austen’s work. Yes, she largely focused on a particular section of society but she really, as you say, dissected that layer. And anyone who reads her books can’t deny that she is often on the sides of those who suffer injustice and cruelty, something I often find lacking in Dickens, for example. For me it was love at first sight when I read ‘Pride & Prejudice’ and then her other novels, but the great thing is that whenever I reread them I discover new aspects of them. It’s as if they age with you! Love your post 🙂 Next year I’ll definitely try to participate in #AusteninAugustrbr again! Great post! I was particularly interested that Northanger Abbey is your favourite because I’ve only read it once many years ago when I was at school and haven’t read it yet – I don’t remember much about it. I think it’s most definitely time for a re-read. I totally agree with your points about the depth of the issues she covers. For years I would have said the Pride and Prejudice and Persuasion were my favourites, but having just recently read Lady Susan, The Watsons and Sanditon I think that if she had finished Sanditon that could be my favourite. Sorry Adam – my second sentence should read ‘when I was at school and haven’t read it again’ etc. Oh man, I’m always amazed at the authors throughout history who have despised Austen and her novels! I don’t know how you can look at one of her novels from any kind of literary perspective and not appreciate everything that goes on beneath the surface, whether through her variety of narrative voices or the depth of her characterization. Pride and Prejudice was my first foray into Austen as a teenager, but I studied so much of her works in college that it’s sometimes hard to step back and just enjoy them for the delightful stories that they are. Northanger Abbey has always had a special place in my heart though! Great thoughts, Adam, and thanks for hosting this awesome month of reading!